As an emergent medium capable of telling complex stories, the video game gives us unique insight and challenges to established critical theory. This chapter will examine the ways ‘the gaze' is expressed and utilized in video games, particularly the “survival horror” genre. It will discuss some of the ways ‘the gaze' has been shaped by literary and filmic studies before turning to Outlast (2013) by Red Barrels Games as an example of the way the medium can rearticulate our understanding of watching and being watched. Through its player-driven diegesis, immersion and phenomenologically-situated avatar body, and an ability to stimulate emotional response through game mechanics, the video game gaze might be capable of engendering emotional sympathy rather than constructing hierarchical positions of mastery. With its narratives of state control and institutionalization, journalistic distance, and medical invasiveness, Outlast uses critical understandings of ‘the gaze' to ask questions about privacy, complicity, and responsibility. As the video game has stylistically and narratively grown as a medium, the critical approach to games has shifted to accommodate its unique communicative attributes. Despite the unavoidable instinct in literary studies to use existing theory—e.g., film theory developing out of English departments in the 1960’s—there has been a shift towards an appreciation for the medium’s unique methods of storytelling. Early critical investigations approaching video games on their own terms, from Espen Aarseth’s Cybertext (1997), Janet Murray’s Hamlet on The Holodeck (1997), and Gonzalo Frasca’s “Simulation versus Narrative” (2003), agree that the video game is unique for its interactivity, immersion, and narrative structure. Instead of merely investigating their complicity in real-world violence, we have moved towards an appreciation for the medium’s unique methods of storytelling. Instead of approaching video games as automatically speaking the language of film or as articulating otherwise liner narratives easily-read with extant critical tools, there is an impetus to approach this emerging media as one that might alter our understanding of those tools. Doris Rusch, in her paper “Mechanisms of The Soul” (2009), identifies three characteristics of games she defines as “real” and unique to the medium: their “affective nature,” their “procedurality” and their “metaphorical potential” (p. 1). Similarly, in Jesper Juul’s description of the video game in Half-Real (2005), he makes a distinction between real and fictive; games are an interaction with “real rules […] as well as a fictional world” (2005, p. 8). There is also an encounter with the text not found in other media which engenders emotional responses as part of our subject-position within the text but extant of narrative; this emotional range can be everything from “paranoia” to “caring” (Rusch, 2009). 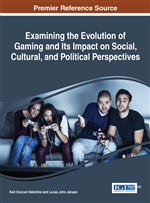 She goes on to describe the lacuna between “cognitive” and “emotional” comprehension that can occur in a video game (p. 7); this is the difficult link, which must be made between game narrative and game design. Though mechanically identical, a maze level is thematically distinct from a prison level. To this effect, Ian Bogost (2007) outlines what he terms “procedural rhetoric,” as games produce the inner workings of complex systems, from their methods, techniques, and logics. The video game creates a symbolic structure through which the player must navigate; the medium is a space in which these structures are not only described, but also enacted (p. 107). Experienced independently, cognitive and emotional comprehension of a game world might provide vastly different understandings, but as a gestalt whole they provide meaning and context to affective emotions engendered by the game’s complex systems. The way the play-space is specifically constrained rather than interactive is the emergence of narrative and design; the amalgamation of affective design, procedural rhetoric, and subject-position must inform a textual analysis of a video game. Diane Carr (2002) cautions on applying a single model to any player-game interaction, as “[p]lay is experiential and ephemeral yet embodied, and culturally situated” (Carr, 2009, p. 2). In this, video games present a puzzle to the literary theorist, and with rare exception there have been few investigations into the video game’s relationship with film and literary theory.